Don’t Be Everything They Want. Be What They Need. Lately I’ve been wondering, If I am the mom I want to be what will be the fruit in my children? I want to be the mom that is on top of it all, no matter what comes her way. I want to celebrate every occasion memorably. I want to have my children reciting new Bible verses in the car each week. My list goes on and on. 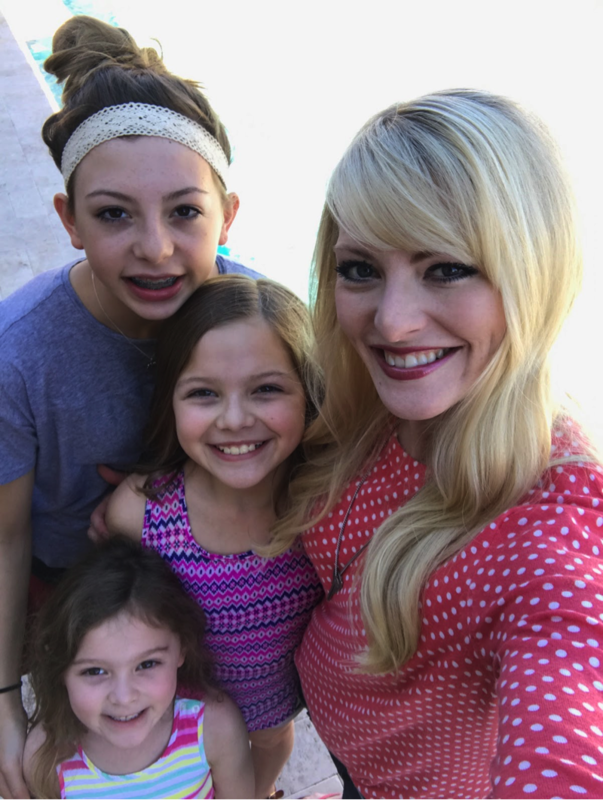 I’m sure your’s does too… and just when you think you’re starting to get on top of your list, another mom’s conquest pops up on social media and you wonder if you need to add that to your repertoire of goals. Whenever my mom friends and I get together, we joke about the pressure we feel from social media. We can laugh about it, but I know we truly feel the pressure. I will focus on that a little, but I want to bring another challenge to light. What I want to focus on today is how we shape our children’s expectations for their upbringing. What is the fruit of a nation raised on Pinterest perfection? What if we redefine our role to mean we throw killer birthday parties, decorate perfect homes, take extravagant vacations, and make restaurant-quality food for every meal? What does this generation of children look like when they reach adulthood? What are they like as marriage partners? What kind of employees are they? Perhaps they will have learned to imitate excellence. Or maybe they will have learned to expect excellence. 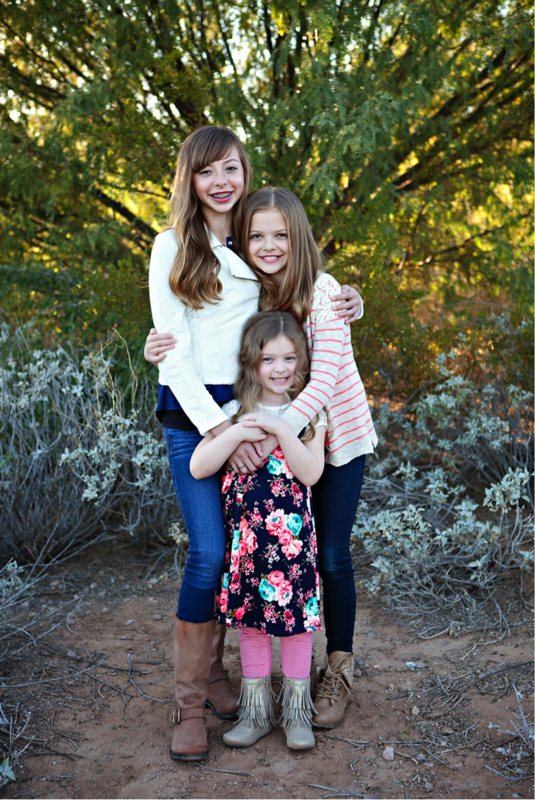 I think we need to be moms that give their kids what they need… what they really need. Not always what they want. Our church has the children stay with us during worship. In theory I love this plan. In practice it is often tricky. My husband and I find it more challenging to get ourselves before the throne of God when we worship than we did when it was just the two of us. 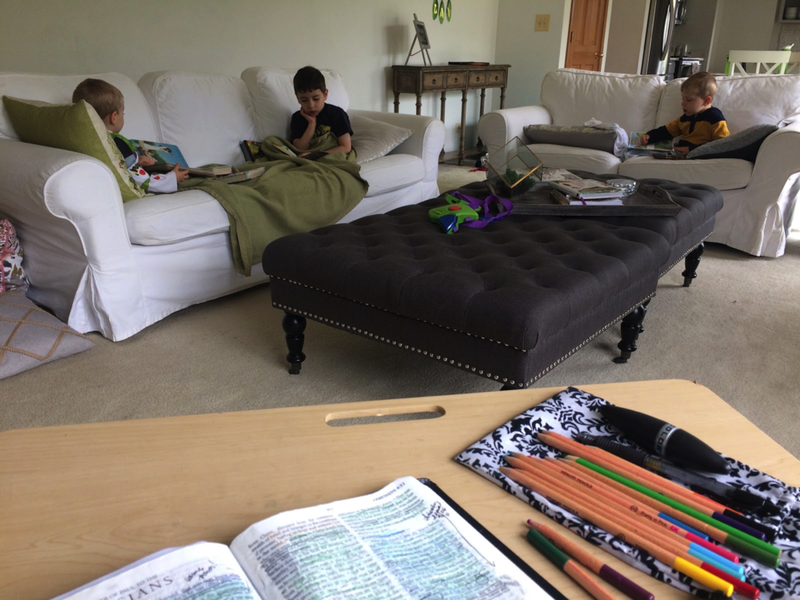 Last week I gave myself a little pat on my own back as I pulled out coloring books and crayons and handed them to my boys. They were thrilled… for a few minutes. And then there was some shuffling, dropping of crayons, and a little arguing over who had which coloring book. I realized that--although I had been the perfectly prepared mom I wish to be--I wasn’t producing any character in my sons. 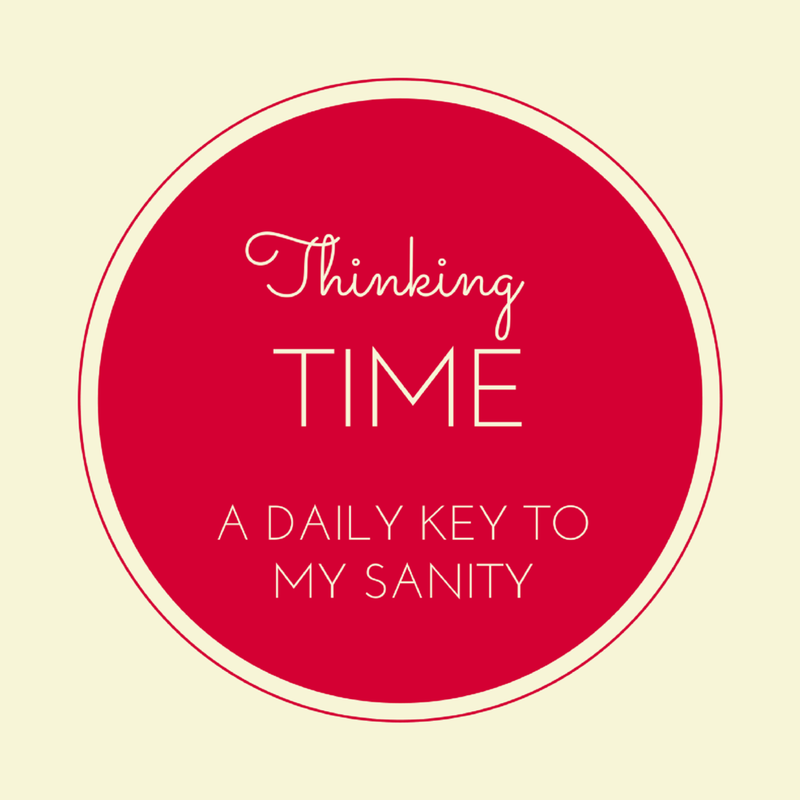 The weeks that I don’t have anything for my kids to do are fine (and it doesn’t mean I’ve dropped the ball as a mom). They are forced to learn patience, self-control, and to focus on the words of the worship songs. I don’t think it’s wrong to have activities for your kids. I do think it’s wrong for your children to expect to always be entertained by you. Being bored is good for kids sometimes! Have you had those moments in which you didn’t have a snack for your kids when they are hungry at the park? You feel like this is a “need” right? However, if your kids had something to eat before they left the house, you can let them have a little play time without food! Be wise and know your kids, but also remember that they don’t need to be snacking every moment of every day. Sometimes I cut my children’s lunches into fun shapes and characters. White, oval slices of provolone cheese just beg to become Baymax from Big Hero 6. Sometimes a grilled cheese gets an “i” on it and gets dipped in “Incredibles” tomato soup. Snack foods become butterflies and hot dogs transform into octopi. They love it! However, I simply refuse to do this every day. I want these little mom touches to be special, not expected. I love to throw parties. I plan for weeks and pour myself into the details. Because I barely spend any money, it takes me a long time to prep! My husband saw the entertainer in me before we even had our first child. We decided we would throw our children a party every 5 years. This lets me celebrate them how I like to, and it keeps the parties really special for them. On the off years, I still make them their favorite dinner and a great cake, but I leave the glitz and glamour for those special years. And sometimes it’s volunteering to pack food for starving children. I want my kids to understand that balance. I have young children. These answers seem easy. I’m sure it is much more challenging to find this balance with teenagers! I believe it is worth pondering though. I am choosing to fight the voices that want to redefine my role--and their childhood. My job is not to make my children happy. (Although anyone who knows me knows that I am thrilled to provide joyful memories for them.) What I am saying is that my calling is not to put smiles on their faces. It is to point them to a perfect Savior. I’m not looking to be mom of the year. I’m striving to have all my children at the heavenly finish line with me. I love the subtitles to the Entrusted with a Child’s Heart chapters. I’m adding them here so you can reflect on the roles God has called you to, and forget the ones society has added! Teaches her children to be accountable in relationships. Perhaps that doesn’t make you feel any better! It is quite the list… but it is God’s list. I’d rather pursue that one than any other list created. And what I really love is that this is the list God Himself is empowering me to accomplish. Be blessed this week sweet sister as you focus on the role you play in the eternity or your children! Posted on February 15, 2017 by Stephanie Hickox and filed under Building Your Family and tagged encouragement betsy's tips. Recently we bought a new home. I wish I could say it was one of those, “It sold on the first day!” or “We had multiple offers!” stories. It wasn’t. Our home was on the market for a lot longer than we expected, with three boys 5 and under helping us “stage.” Even though our family underwent three surgeries during this time, it would turn out that the time being on the market seemed like the easy part. After the contract was accepted, we faced multiple inspection issues, our buyer’s financing delayed our move three times, and we found this out after our home was already packed up and our moving pods were loaded. Because of all the date changes, almost all of our moving help had to cancel, and our new moving date overlapped with my new job start. Although certainly not the biggest trial we have gone through, Travis and I were chomping at the bit to close this chapter! As we were unpacking our boxes the morning after the move, my sweet popsicle-praying friend came through the door with a gift bag. Inside were some very thoughtful, generous treasures, but one in particular melted my heart. 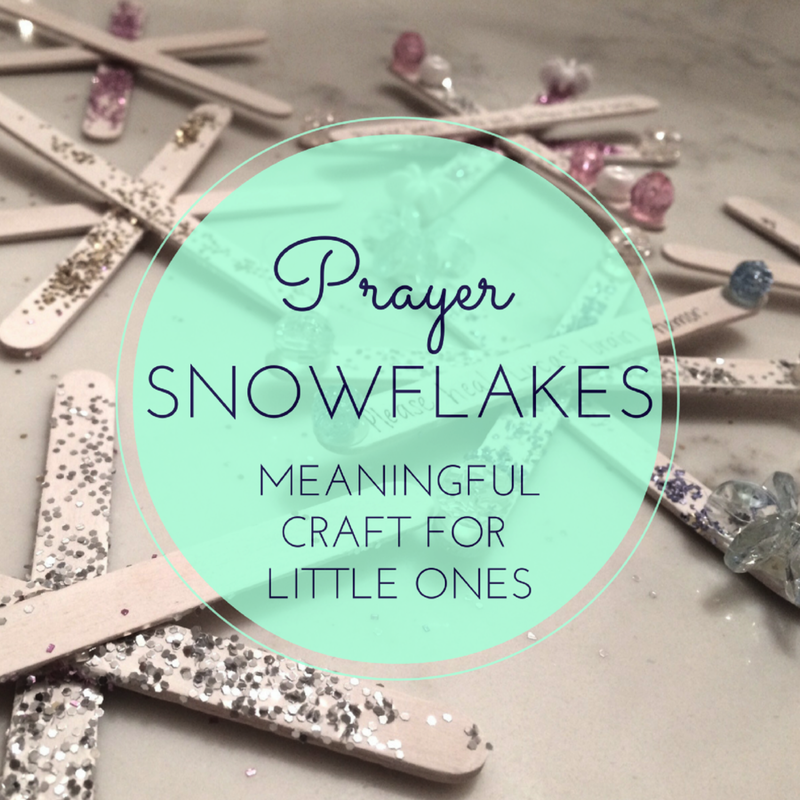 She and her children had made a snowflake ornament out of the answered prayer stick. The simplicity of the gift and the devotion of a faithful sister in Christ touched me deeply. I knew she hadn’t just said she would pray for our situation. Her family was part of the reason we were in our new home. When Christmas came, I was thrilled to put the snowflake on our tree. I had the thought that we should make more ornaments out of our answered prayer sticks… yet my December got a little too full. Instead, I decided to make some now so that they are ready next winter. In addition, I want to copy my sweet friend and make some gifts. Knowing a friend prayed you through a trial is a treasure. I’m excited to pass these reminders of God’s faithfulness on to friends and family members. One of the best parts of this is that little ones can help with each step except the gluing. So they can pray, create, and give! May they be truly impacted by their role in the Kingdom! 1. The wood color of the popsicle sticks is nice, but I wanted to try some with a whitewash of paint. I used my kids’ finger paint and it worked well. 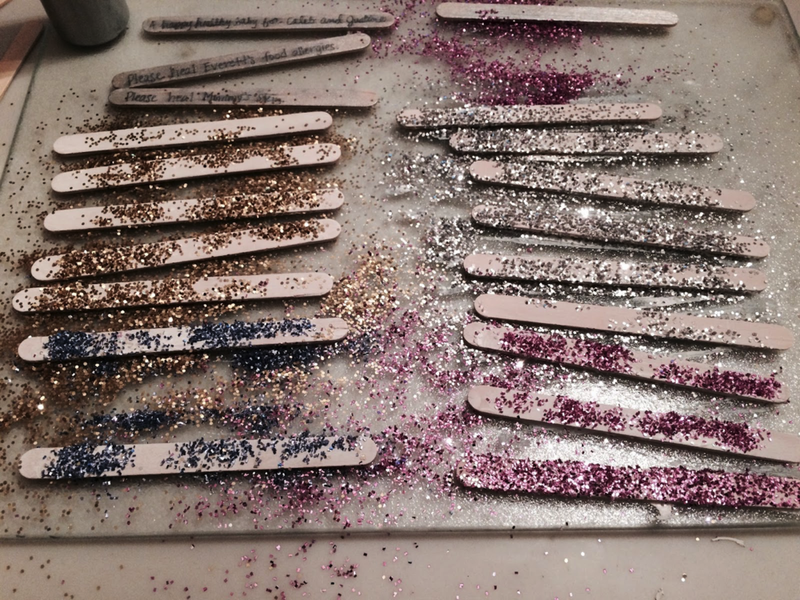 While the sticks are still wet, sprinkle with glitter. 2. 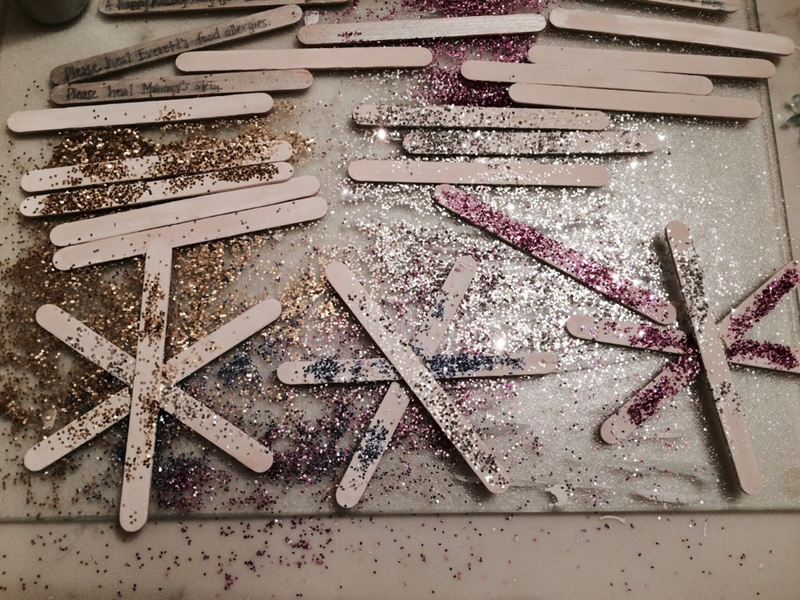 After the paint is dry, glue the sticks into the shape of snowflakes. I used three sticks for this step, knowing I would place the “answered prayer stick” horizontally on the top later. 3. Line up the final craft stick. Before you glue it down, cut a 6-inch piece of fishing line or string. As you glue the final popsicle stick, slide the ends of the fishing line into the glue. This will give you a way to hang the ornament. 4. 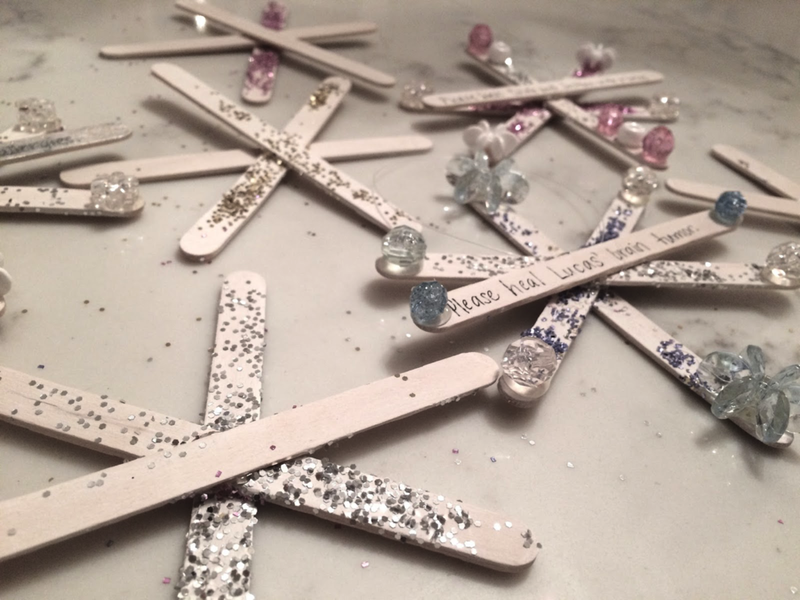 Glue beads and gems onto the craft sticks as you and your kiddos like! 5. Turn your ornament over, and write “Answered” and the date on a stick. This is the best part! 6. Hang in your home, save it for Christmas, or give to a friend. I am making duplicates of some our most exciting miracles. 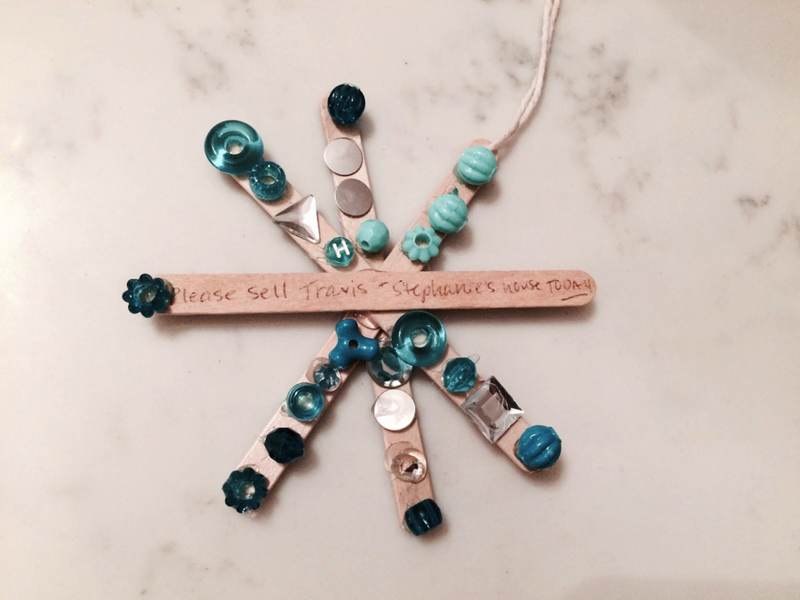 That way we can bless someone else, and we can remember them as we hang them on our tree each year. I love how simple, inexpensive, and powerful this activity is. May it bless you and your children as you seek to be faithful in your prayer lives! 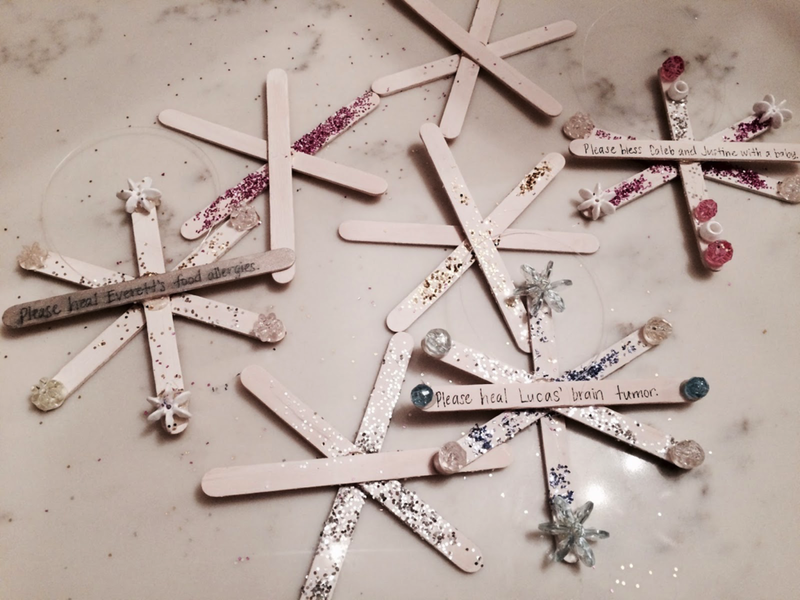 Posted on January 11, 2017 by Stephanie Hickox and filed under Building Your Family and tagged kids' crafts betsy's tips. 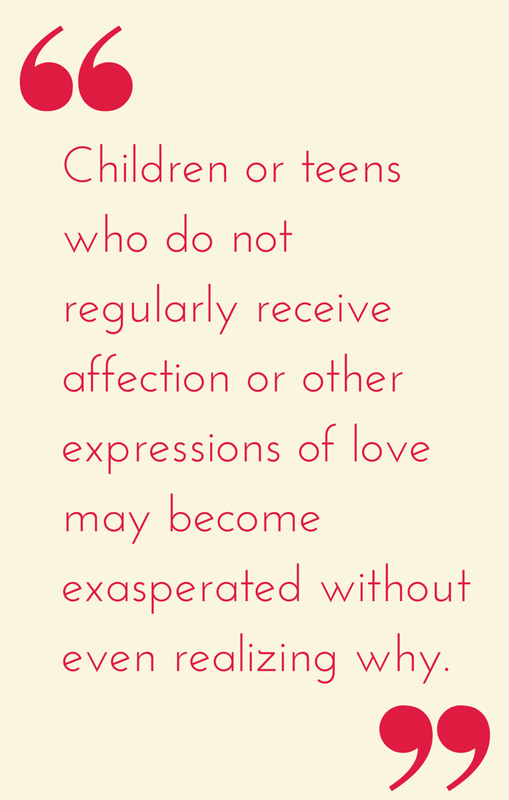 Do you show affection to your children every day (even several times a day)? And do they do the same to you? It may be a little kiss on the cheek before they jump out of the car or a hug the first moment you see them in the morning; the point is to show physical affection toward them every day. 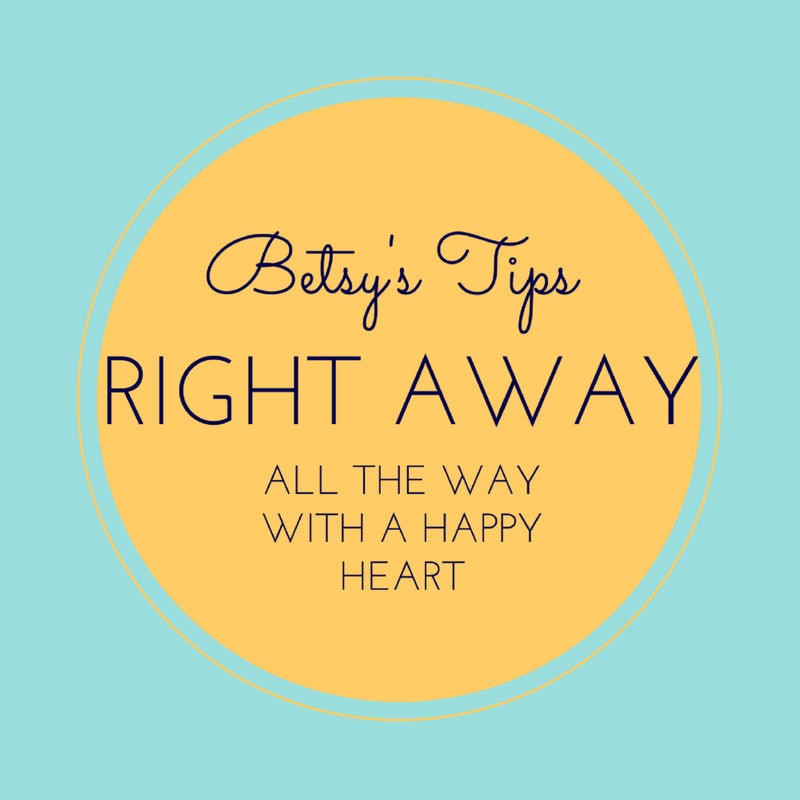 If you have gotten out of the habit or have let the hugs fall by the wayside, start back up. Hugs are important! I am deeply convinced of this. Sometimes as our children get a bit older, they may act “too grown up” to give Mom or Dad a hug, especially in front of someone else. But remember to be tender with your children. It is almost impossible for a child’s heart to stray from you if you show each other appropriate physical affection every day. If you are in a pattern of being tender with your children, you will be able to tell immediately if things are not quite right. Sometimes when they are in their teens, you might notice a hug that lingers a little longer than usual, and you will know that they need encouraging. Other times you might feel a tightness in the shoulders of a child who is upset or the quick breaths of the child about to cry. The tender moments you share throughout the day keep you in tune with your loved ones. When the habit of tenderness is broken, it's much easier to drift apart—in any of our relationships. Appropriate physical touch between fathers and children is also important though it may be shown in different ways, like chasing, wrestling between dads and kids, or even contact sports. Teach your children that kindness, thoughtfulness and tenderness are highly valued and a source of great encouragement to you and the rest of the family. Encourage them to share a hug and an "I love you" with one another as well as with their parents. This simple training will also go a long way in minimizing sibling rivalry. *To learn more about how parents unintentionally exasperate their children, including a helpful "quiz," see the chapter entitled, Managing a Child in Entrusted with a Child's Heart. Posted on June 1, 2016 by Betsy Corning and filed under Building Your Family and tagged betsy's tips fun with kids.